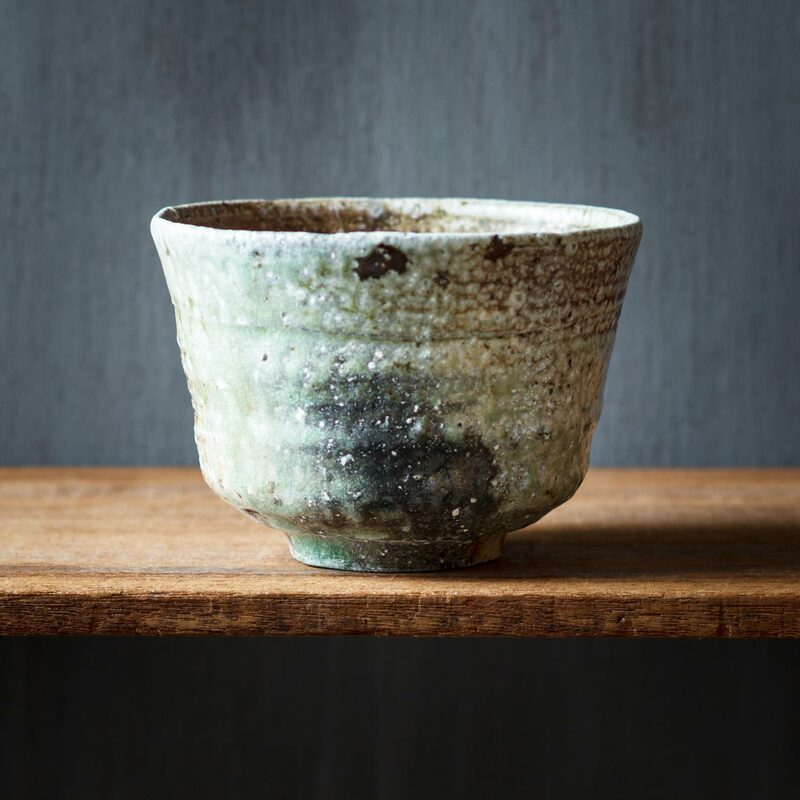 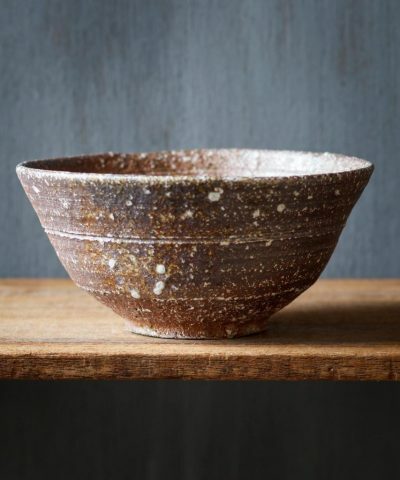 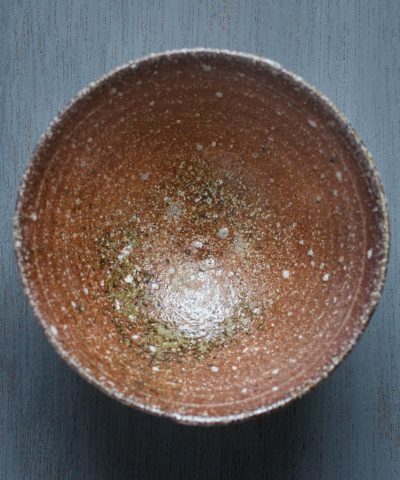 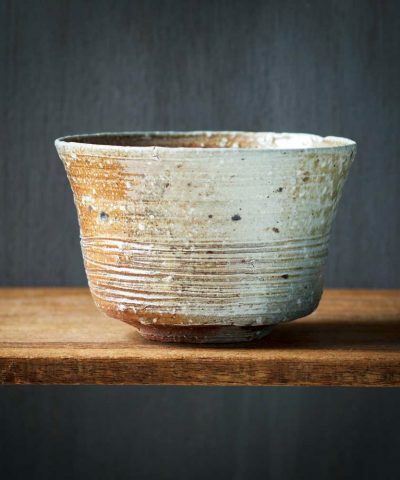 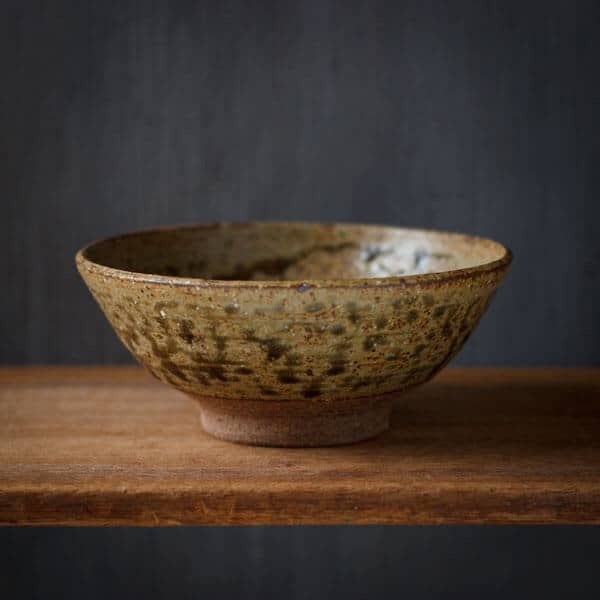 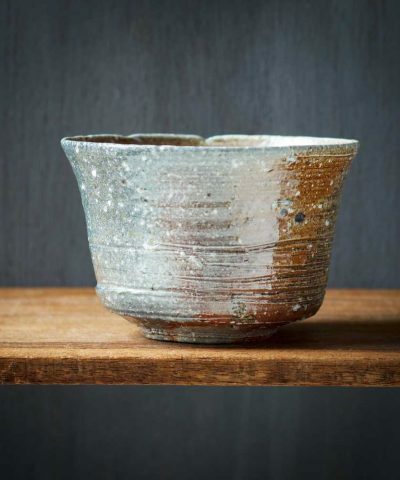 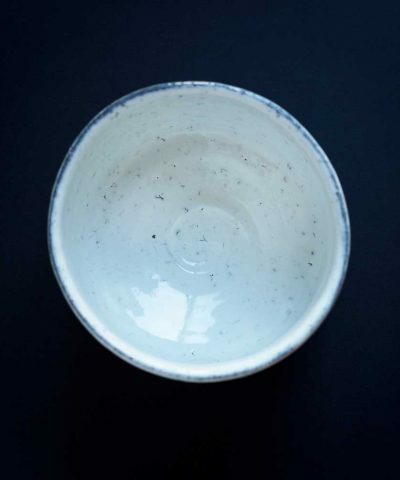 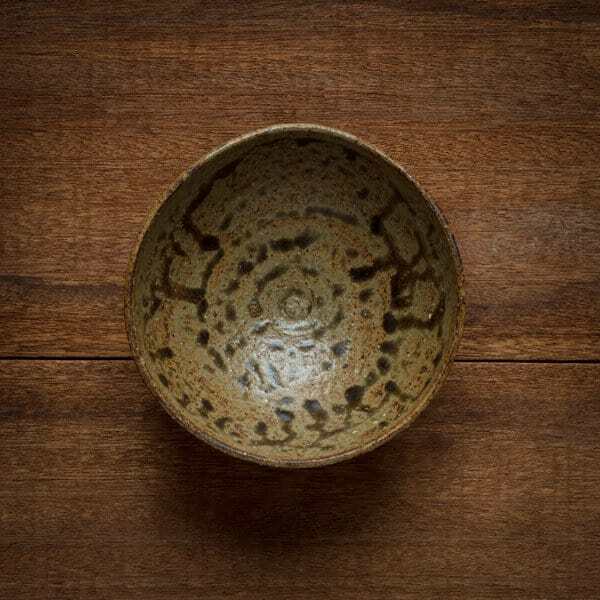 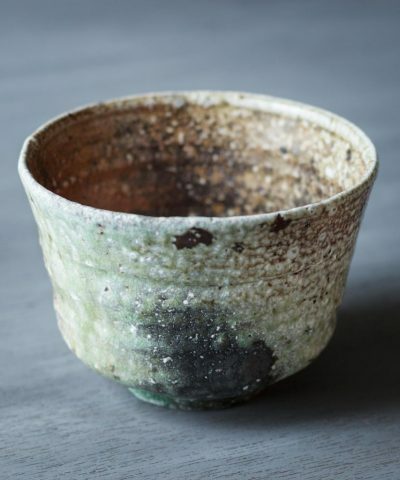 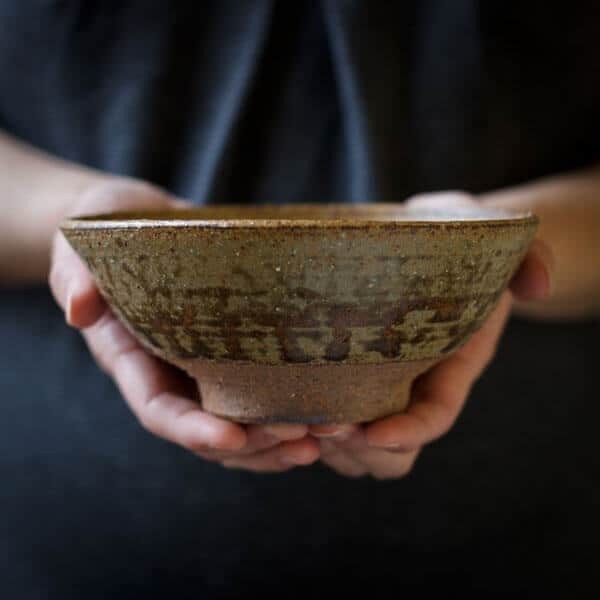 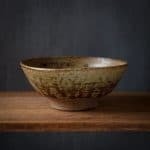 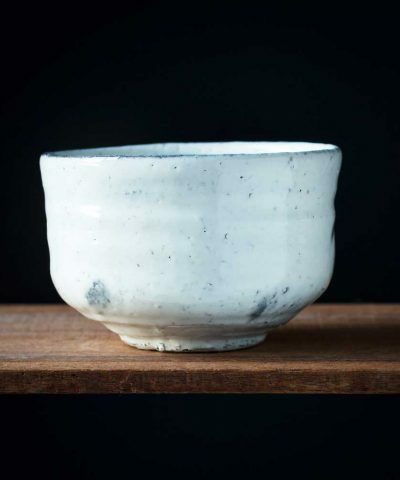 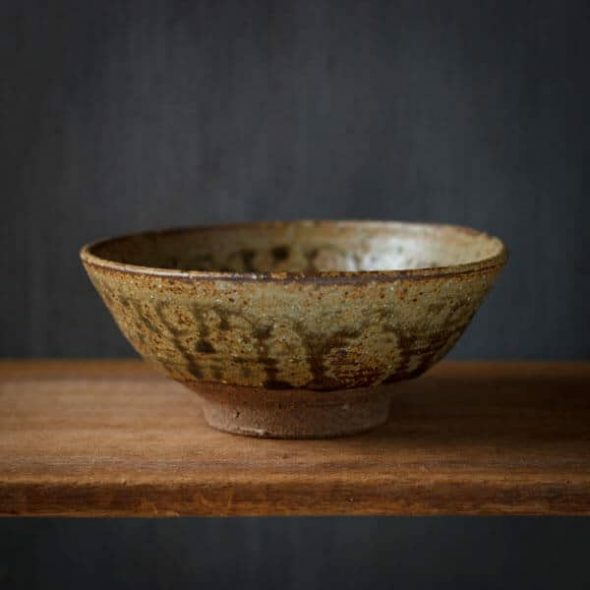 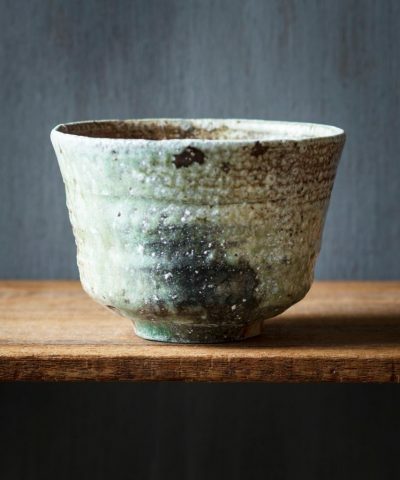 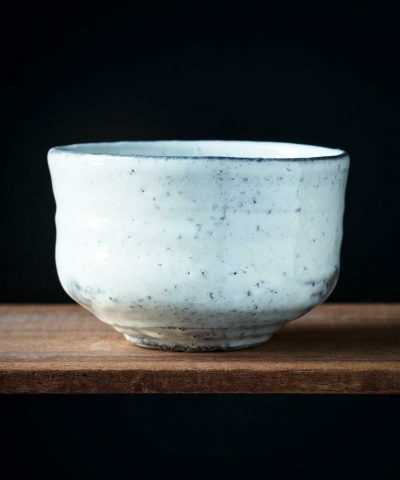 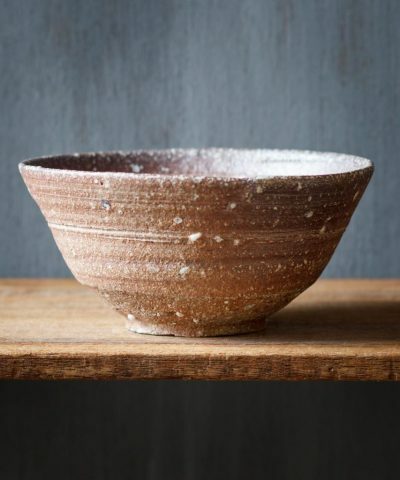 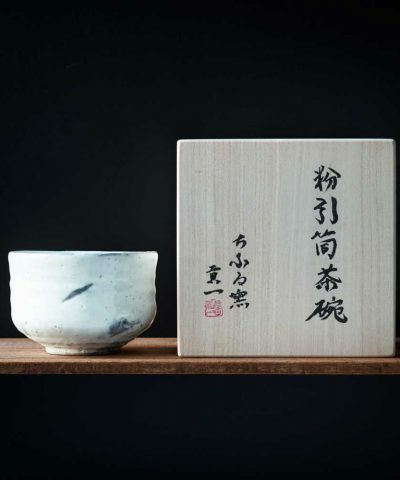 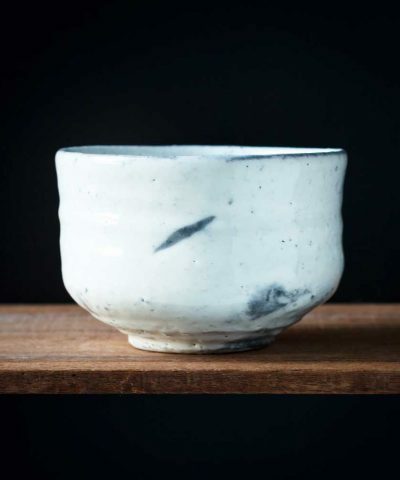 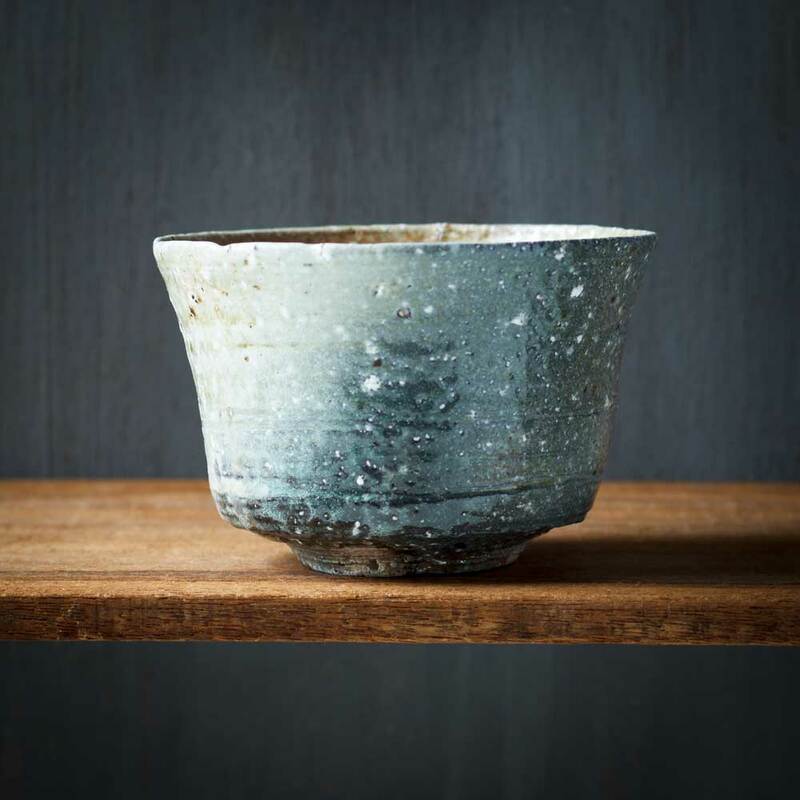 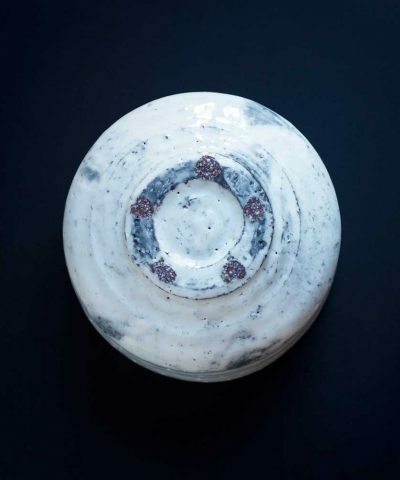 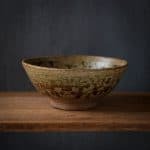 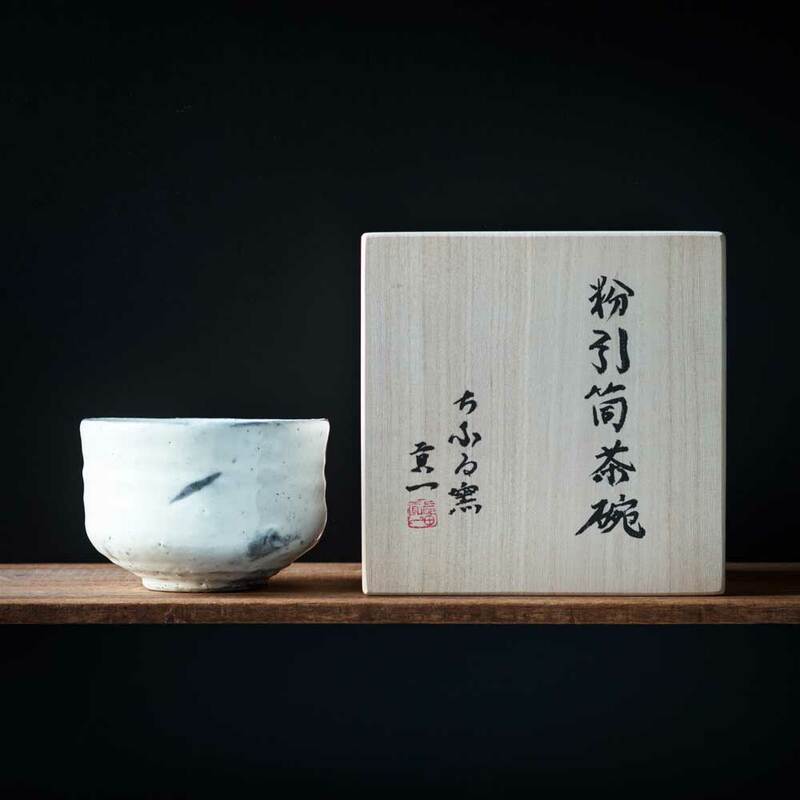 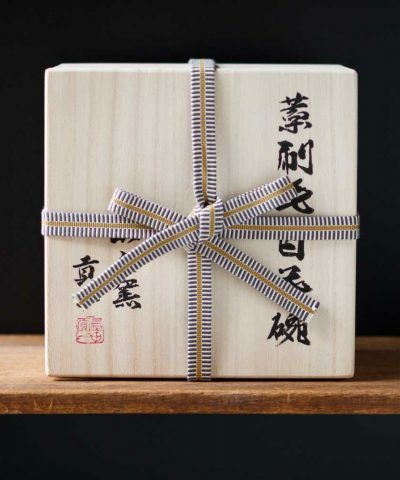 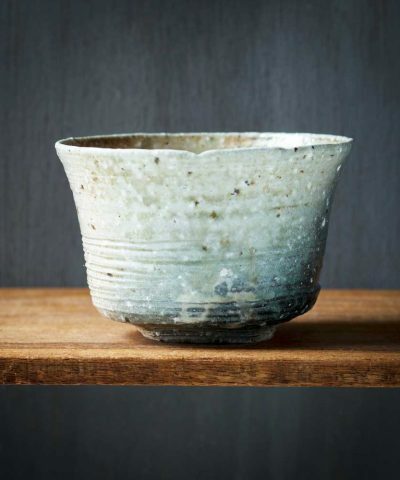 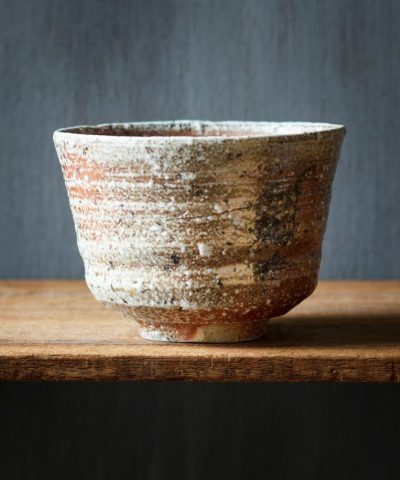 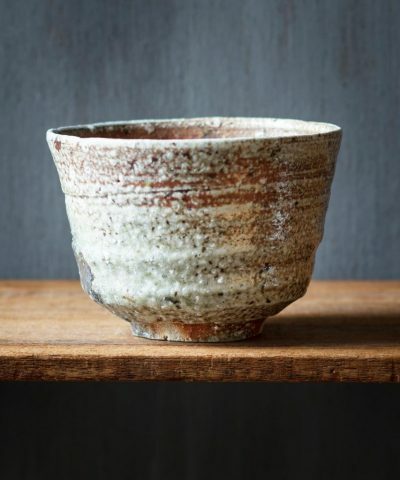 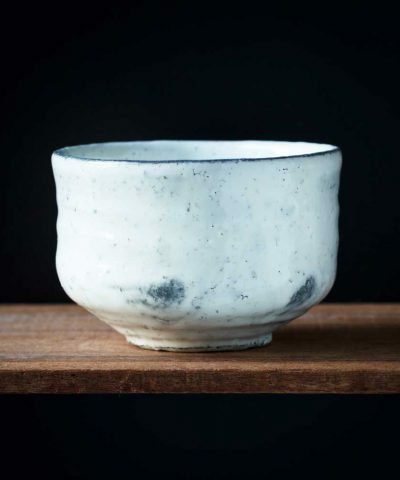 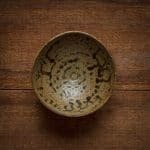 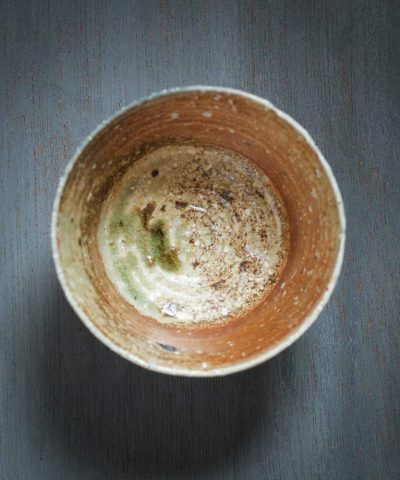 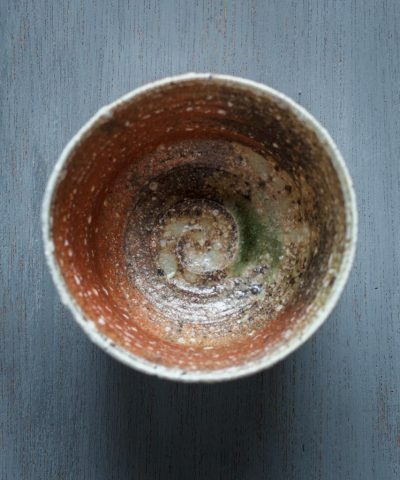 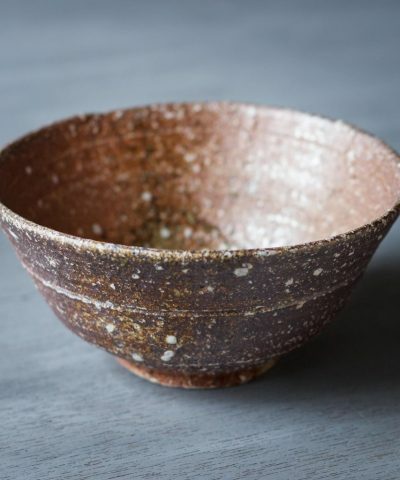 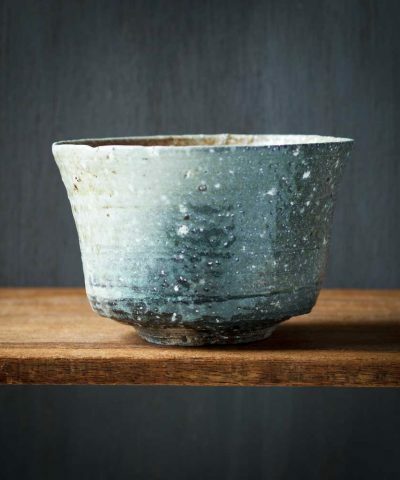 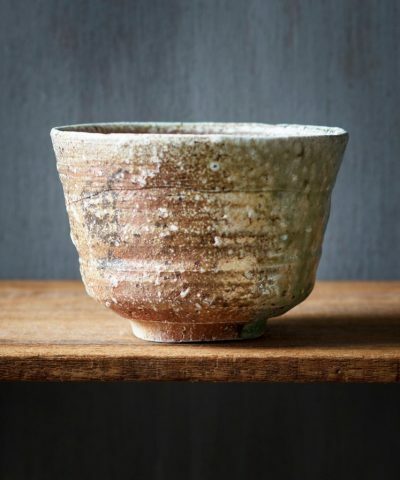 These beautiful ‘Midori Hai Chawan’ (Green Ash Tea Bowl), are hand crafted by Artisan Shigeru Inoue. 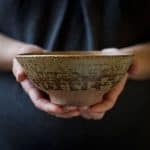 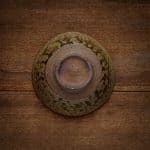 They are made from a particular type of clay that also is used to produce ‘Onigawara’, or gargoyles, on the roofs of Japanese Buddhist Temples. 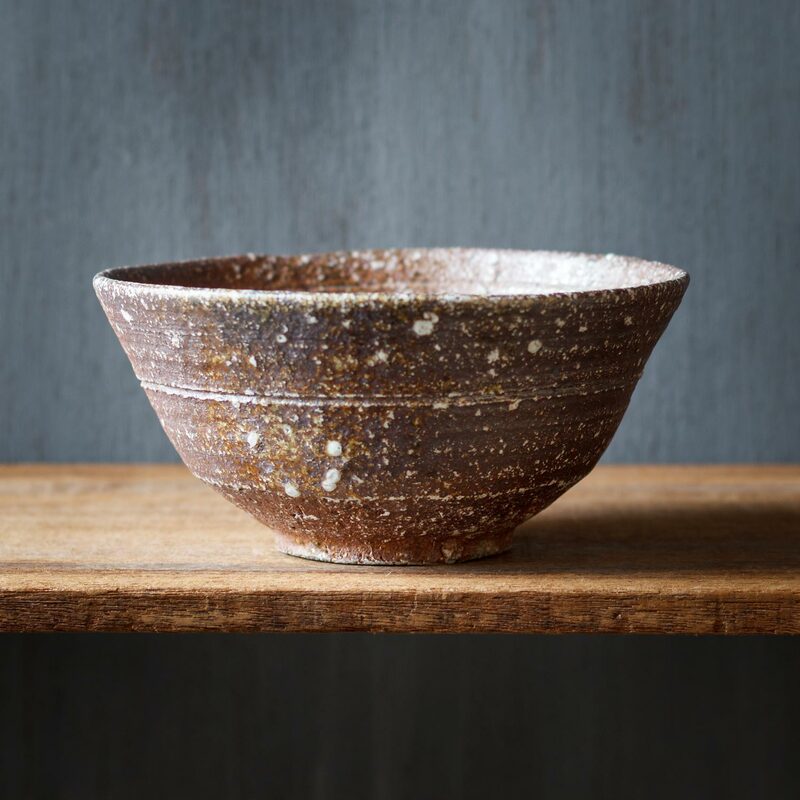 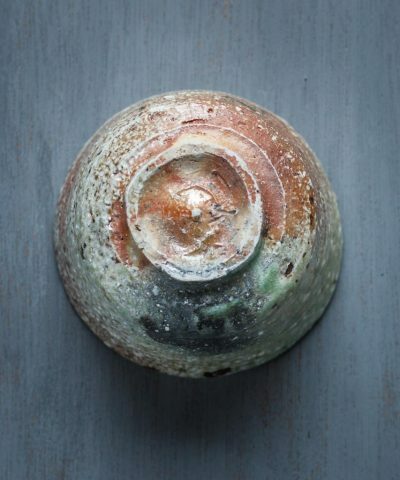 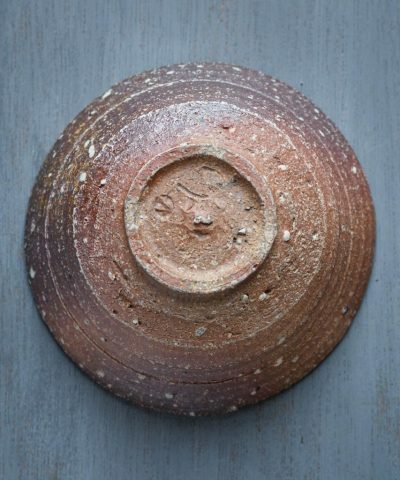 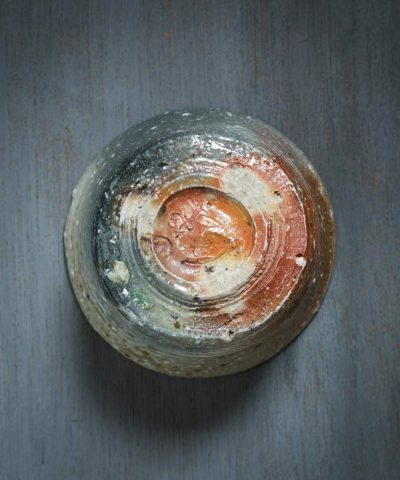 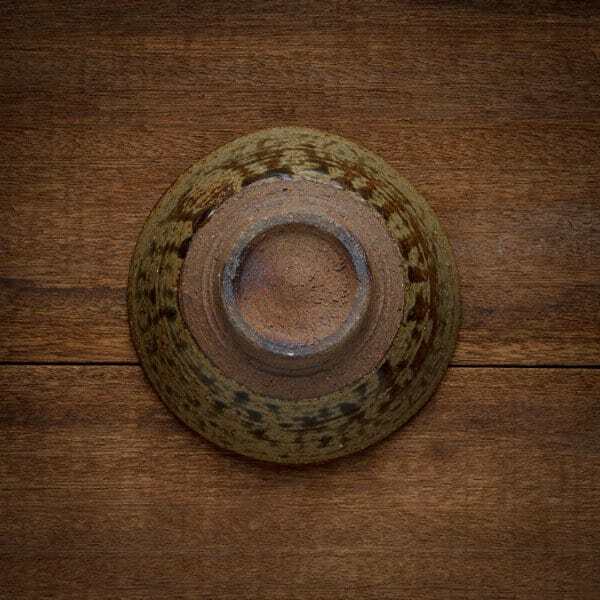 They are glazed with a blend of natural wood ash and feldspar to produce their unique finish.